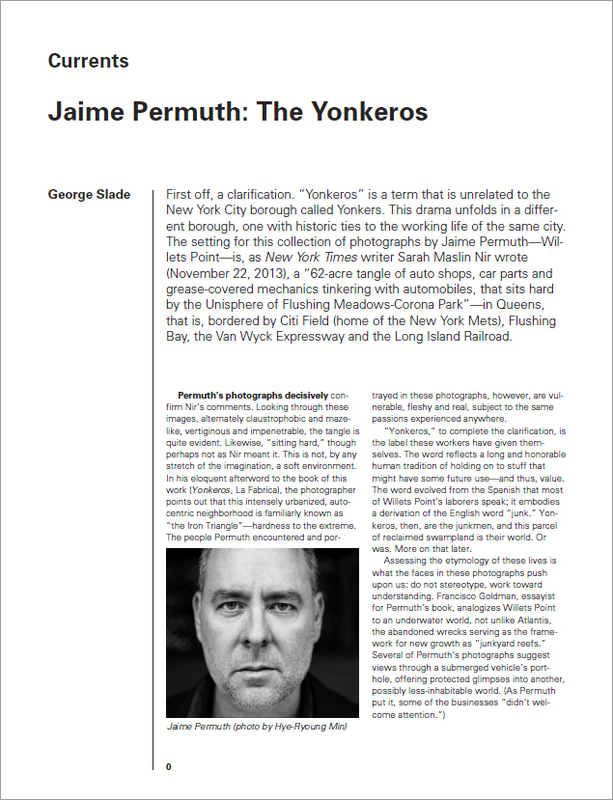 Added on October 4, 2014 by Jaime Permuth. As a teenager growing up in Guatemala, I remember waiting with great expectation to see the new issues of this remarkable magazine arrive in the mail. 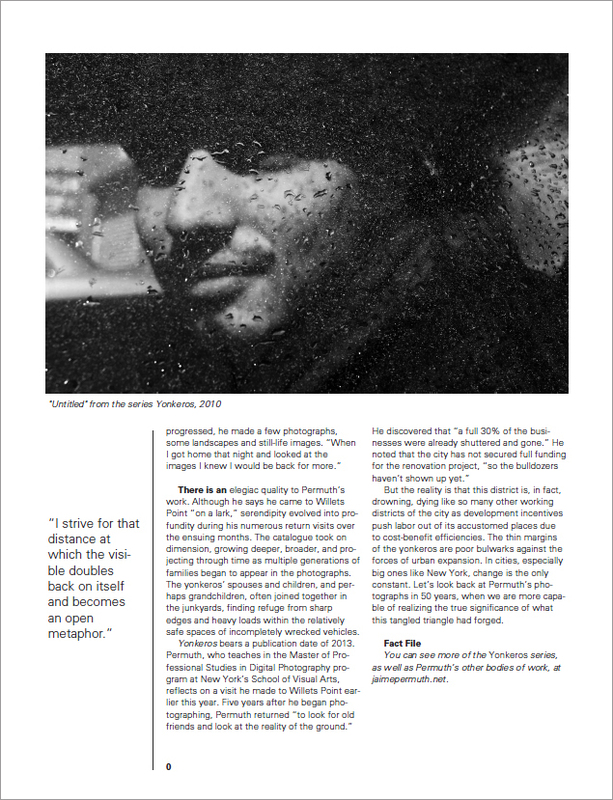 The December issue of Black and White features a 10 page portfolio of my YONKEROS series in its pages. 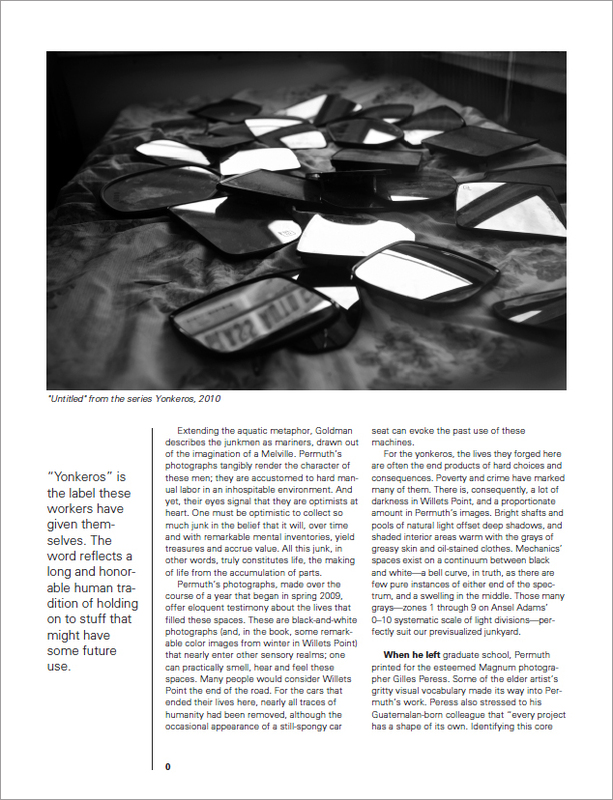 The photographs are accompanied by George Slade's wonderful essay. Issue is available on newstands now!